Help us stuff the van with food and supplies to help care for DHA animals! 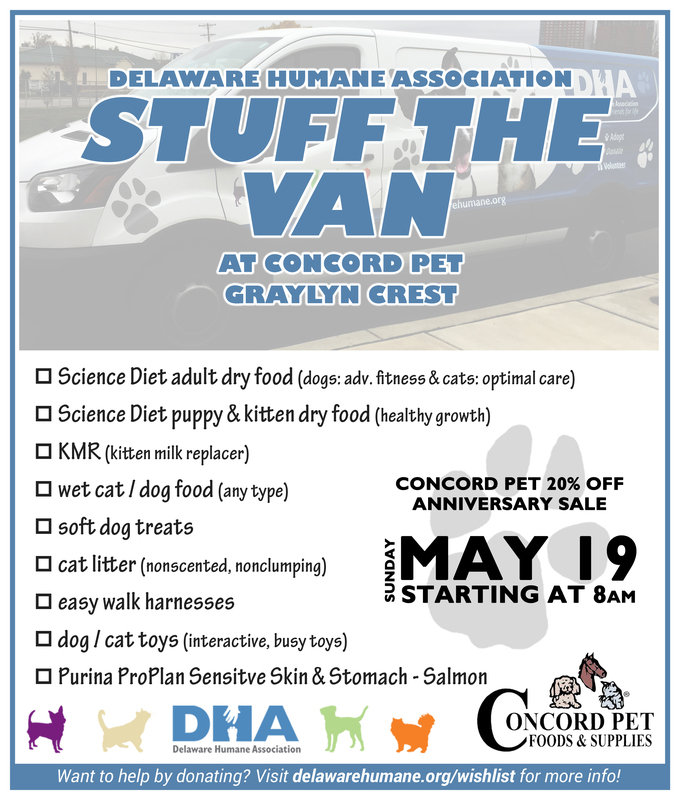 DHA will be holding a donation drive on Sunday May 19th, starting at 8 AM at Concord Pet Foods and Supplies in the Shoppes of Graylyn. This donation drive will coincide with Concord Pet’s 20% off Anniversary sale (and if you spend $150+, you get bumped to 30% off)! Stock up for your own pets and pick up something for the animals coming in to DHA while you’re there!